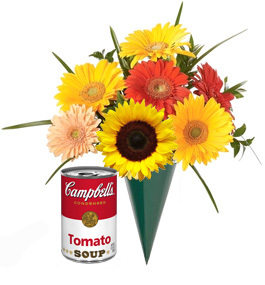 Get your own 15 minutes of fame as you watch your soup can or flowers get delivered to Andy’s gravesite live. 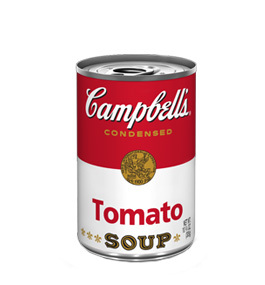 EarthCam is partnering with St. John Chrysostom Byzantine Catholic Church to donate to the Greater Pittsburgh Community Food Bank and you can participate by remembering Andy Warhol. 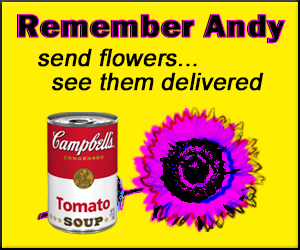 Choose a Campbell’s soup can... a bouquet of flowers... or a can plus a large bouquet of flowers to be sent to Andy's grave. Within 48 hours of your purchase, EarthCam will make best efforts to send you an email alerting you of a window of time when your delivery will take place so you can see it live! A portion of the proceeds EarthCam receives from your order will be donated to the Greater Pittsburgh Community Food Bank. 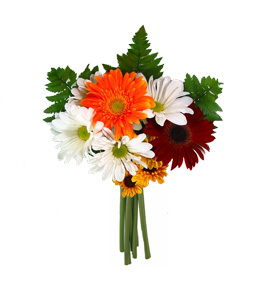 All prices are quoted in US Dollars. While EarthCam, Inc. will endeavor to meet the customer's desired delivery date, no shipment date can be scheduled until after order is accepted by EarthCam, Inc. Payment in full must precede acceptance. All sales are final. All orders are subject to force majeure. Any and all liability arising out of products ordered, however or whenever arising, shall not, under any and all circumstances, exceed the actual payments received by EarthCam, Inc. in connection therewith. In no event shall EarthCam, Inc. be liable for any special, incidental or consequential damages.